This beautiful and large apartment in Twin Towers, Three Anchor Bay has the most breath-taking views. 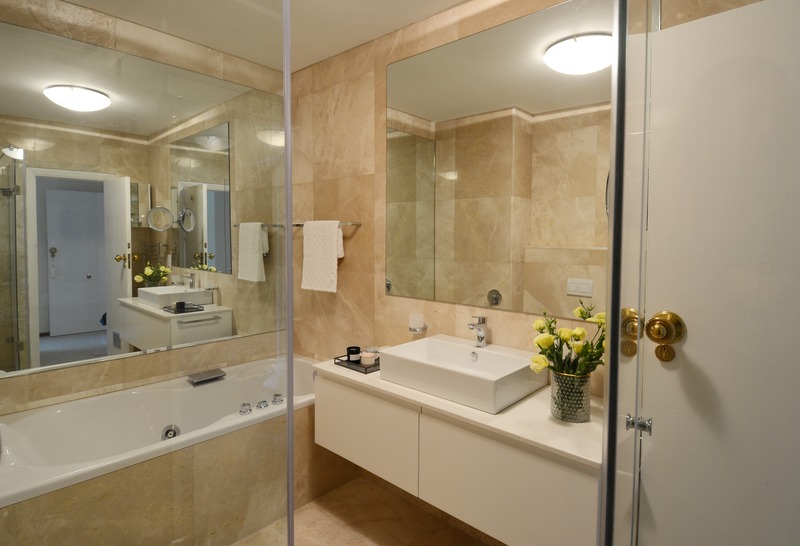 The Italian owners had bought it in the 70’s and the Main En Suite bathroom needed to be modernized but still work with the rest of the interior. We fitted a new spa bath with a waterfall spout and as well as the new Duravit DuraStyle rimless WC with shower-toilet function combining the bidet function with the pan. 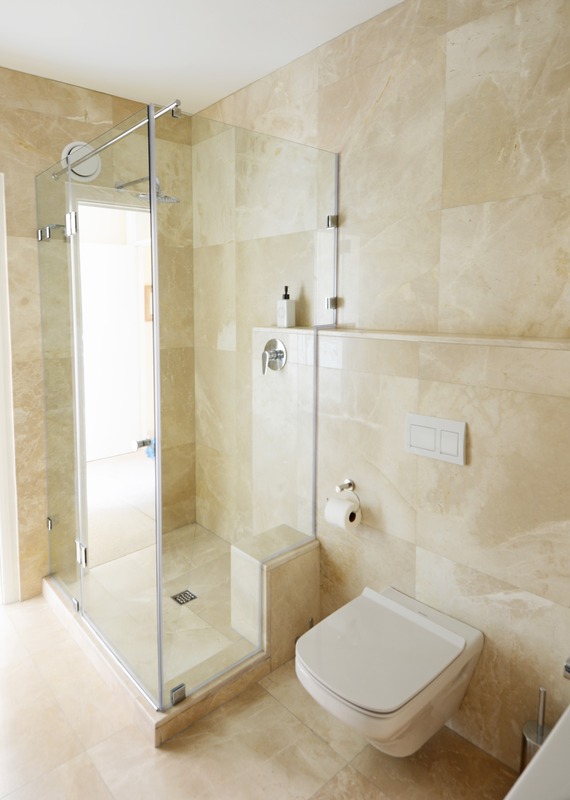 This a great space saving solution allowing as to include a new larger shower with a build in foot rest. The concealed Geberit cistern ledge we ran partly into the shower so that it functions as a shampoo shelf. 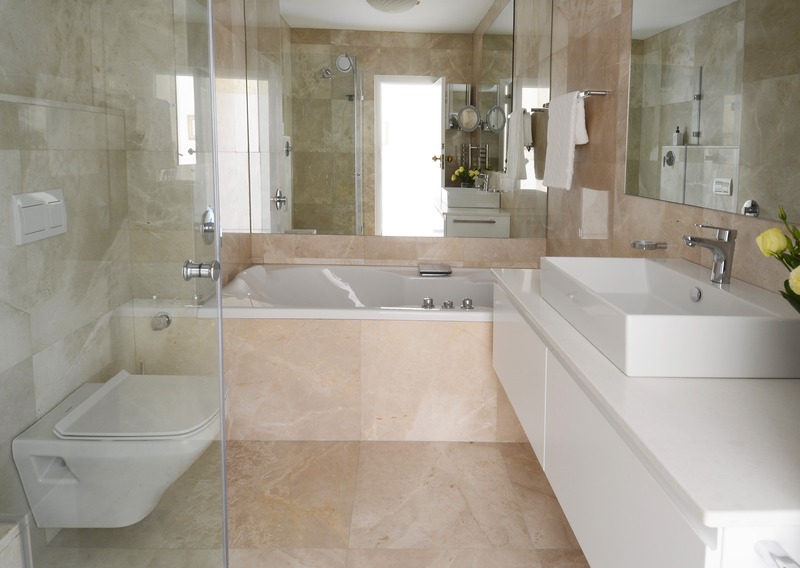 The look of the traditional marble Burdur Beige combined with the clean lines of the Catalano basin and Caesarstone Organic white create a good combination of finishes playing on traditional and modern design.